From the beginning of the United States, women have struggled. We were not included in the U.S. Constitution, even though Abigal Adams, wife of John Adams, asked him to please remember to include the “ladies”. 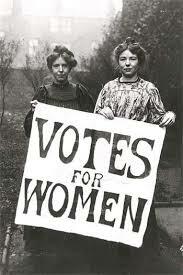 As the vote began to expand beyond white male landowners, women began to seek the right to vote. As the Civil War approached, many women were supportive of abolition. They learned that there opinions were not really welcome but their hard work and support were appreciated. Thus began a more solid women’s movement. 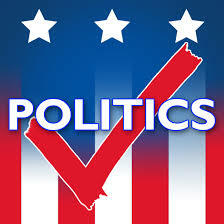 The 15th Amendment passed granting black males the right to vote. Women were once again excluded. And they were angry. They had encouraged the abolition of slavery, fought for freedom and were once again told to wait their turn. In 1848, more than 200 men and women met in Seneca Falls, New York to coalesce on women’s specific issues. During this time, education was not available to all women, women could not own property or possess their own money except for rare circumstances. Men directed every aspect of women’s lives. In 1872, a suffragist named Victoria Woodhull decided to seek the presidency. 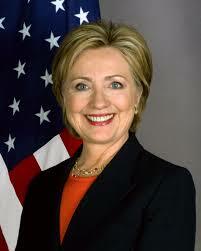 She was not even allowed to vote for herself but sought the highest office in the land. She ran on her own campaign and received a handful of votes. She was also the first woman to testify before a Congressional Committee on the subject of woman’s voting and the first woman ever to testify before Congress. Sojourner Truth was also a suffragist and reminded listeners, “Ain’t I a Woman” by telling her story as a slave. She was the first African American women ever invited to the White House by President Lincoln. 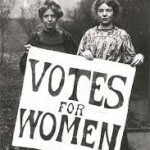 In 1890, Wyoming became a state and allowed women to vote. Some western states followed suit. It took 72 years from the 15th amendment to the 19th amendment allowing women the right to vote passed. It took Susan B. Anthony illegally casting a vote and Alice Paul going on a hunger strike and having she and her supporters sent to jail before they finally won. 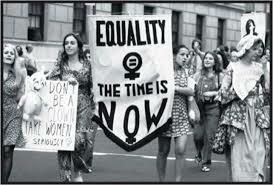 In the early 70’s, the Women’s “Lib” movement emerged after the Civil Rights movement. Between 1970 and 1980, many landmark court decisions brought significant changes to women’s lives from Roe v. Wade to Title IX. 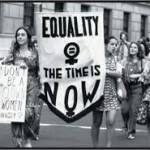 This era culminated with an agressive fight to pass the Equal Rights Amendment allowing an addition to the Constitution that would declare women equal under the law. 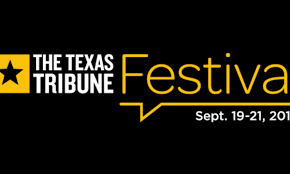 This era culminated with a National Women’s Conference in 1977 held in Houston and underwritten by the government. Every living First Lady was in attendance, including Republicans and Democrats as well as numerous well-known women. Gloria Steinem was one of the foremost drivers of this period of change. FYI, the ERA never passed. In 1984, the first woman was nominated as Vice President on a major political party ticket. The Democratic Party nominated Walter Mondale and he named Geraldine Ferraro as his running mate. Since that time, the Republican Party named Sarah Palin as a VP nominee. Many women have sought the Presidency over the last three decades. 96 years after women gained the right to vote, a woman has secured the nomination of a major political party. Whether or not you like Hillary Clinton or not, please recognize the fact that she has broken yet another ceiling in American “Herstory” and history too! Pardon some of us who have fought for women’s equality our whole lives if we are overly excited and or shedding a tear or two. I won’t apologize for the long post. I have been teaching Women in Politics at the University of Houston for 14 years and enlightening students about women’s herstory. You must look at the long struggles to fully understand the exuberance many women feel at this crack in the ceiling.